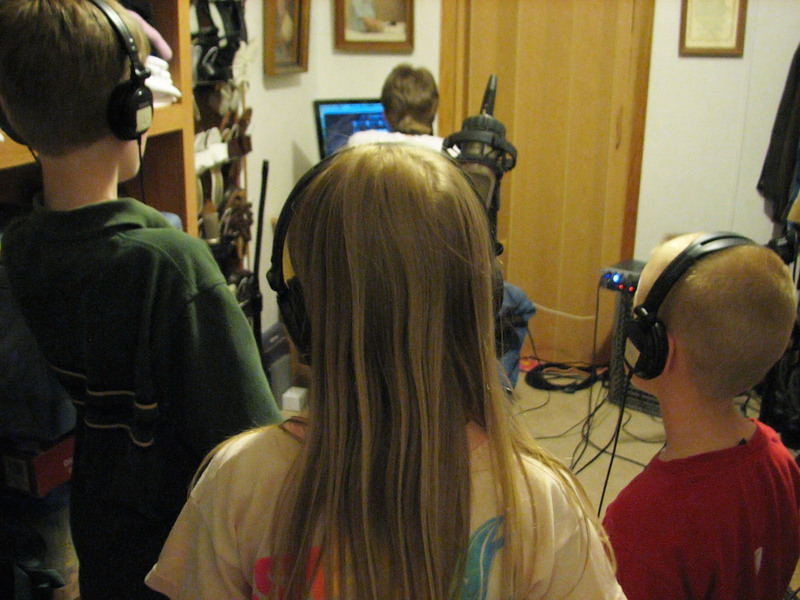 Sam, Jayme, and Caleb recording in Dad and Mom’s closet. 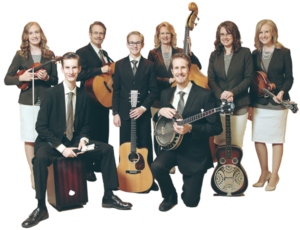 Great Adventure Gospel Band has a weekend off! Wow, we barely know what to do with all the free-time! Even if there is one concert during the weekend, the entire weekend is spent preparing for it: practicing, tearing down sound equipment, practicing, packing instruments, practicing, loading the trailer, practicing, choosing and ironing outfits, practicing, preparing food stuff, practicing, getting ready, practicing, traveling (finally), and did I mention practicing? 😉 We also have to squeeze some household projects in between all this, plus cleaning our home church (they call us “The Singing Janitors”!). Though Ben has been “getting to know” the new recording equipment for several weeks, he has “officially” commenced recording. He is such a perfectionist, though, he keeps re-doinging everything, especially his guitar playing! We tell him, it’s fine, but Ben is Ben! 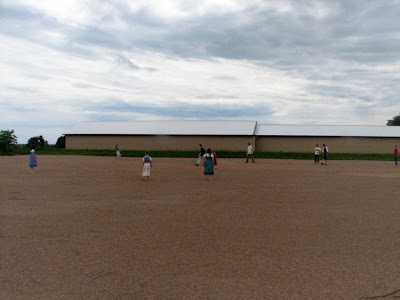 A few weekends ago on June 19th, we traveled to Neillsville, WI to sing at the Blessed Assurance Gospel Fest. 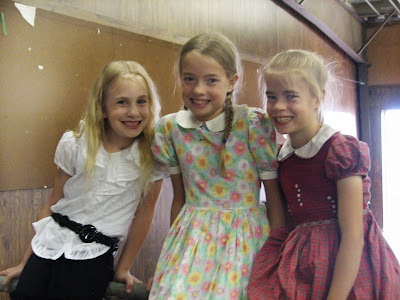 Our new friend, Linda Holtz, invited us to sing at this fun event, and are we glad we came! It was neat to see our friends, the Alzens and the Herrlingers, again and a privilege to meet the Hainings. The festival was held in a large building at the county fairgrounds, so there was plenty of room to sit and enjoy the great music. Linda, her husband Kurt, and many others were so hospitable and kind. Thanks ya’ll! 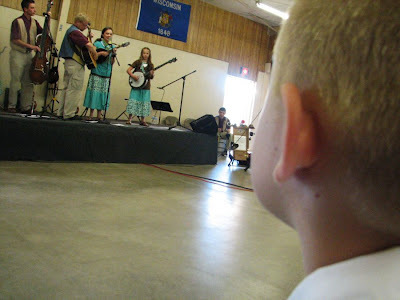 Caleb enjoyed all the music! Here he is watching the Alzens. 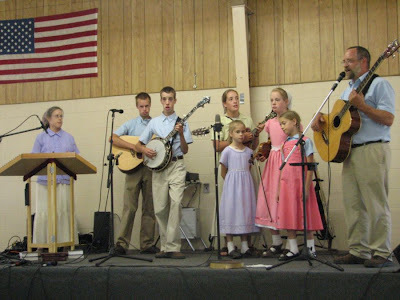 Our friends, the Herrlingers. 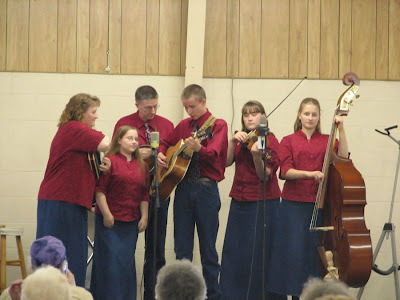 We met them last year at the Pro-Family Picnic in Pine City, MN and have had the privilege to sing with them two other times. One encouraging, talented, joyful family!! The Alzens! 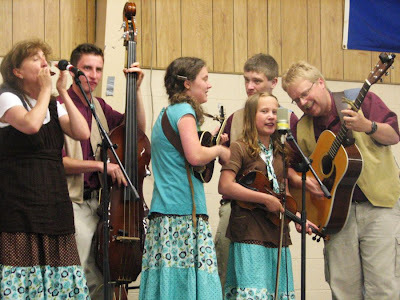 We meet them through mutual friends, the Nuckols, and really appreciate their talent and love for the Lord. They are fun-loving, hospitable, and a blessing to our family. Our new friends, the Hainings. It was our first to really hear them, though we’ve heard of them for a long time. What a smooth blend of voices, strong message, and polished instrument playing! It was an honor to meet this godly family. 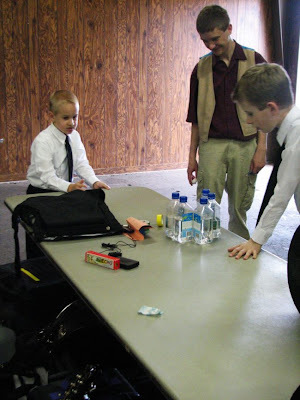 Sam, Caleb, and Lucas Alzen experimented for a LONG time with rolls of tape and anything else they could find. They were rolling tape all over the place! Then they made paper airplanes and the whole building became an airport. Boys will be boys! Sunday afternoon found most of us kids (except me and Naomi Herrlinger) playing frisbee. It was quite the game!